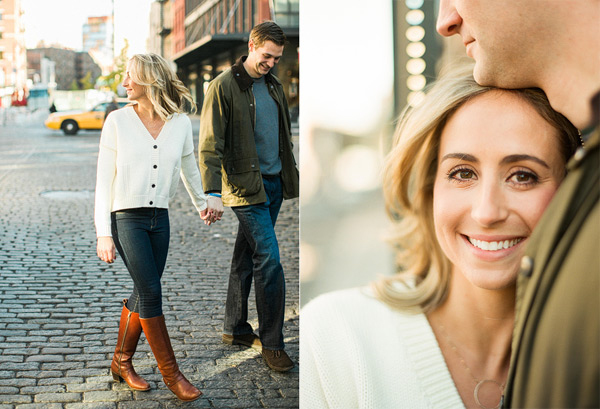 I had so much fun capturing Kailyn and Brian’s engagement session in November. We started on the cobblestone streets of the meatpacking district then made our way to the High Line and finished up at their favorite local Tribeca restaurant, Tiny’s. Kailyn and Brian call downtown home so going to all of these locations made for an extra special engagement session. I enjoyed capturing so many wonderful moments between the two of them in a place they already cherish so much. 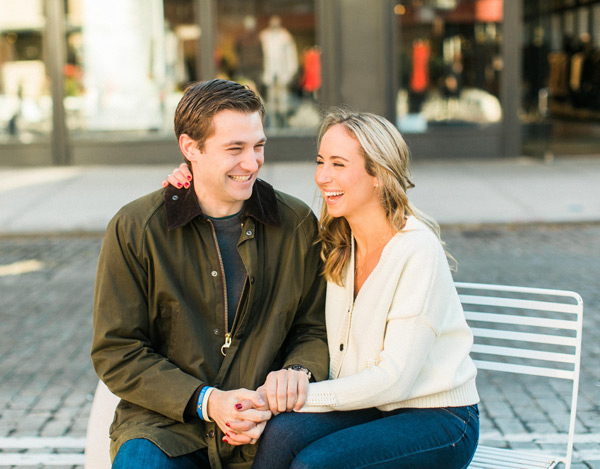 I can’t wait to capture their summer 2015 wedding up in Saratoga Springs! Oh my gosh, they are SO freaking cute!! I love these images! So full of love. And I ADORE her second outfit! lovely images. I miss shooting in the city! This is so lovely! I love how laid back and genuine all the photos feel. This couple is super adorable! Great pictures. I really like the photos in an urban setting. Very nice light.